Hello all! 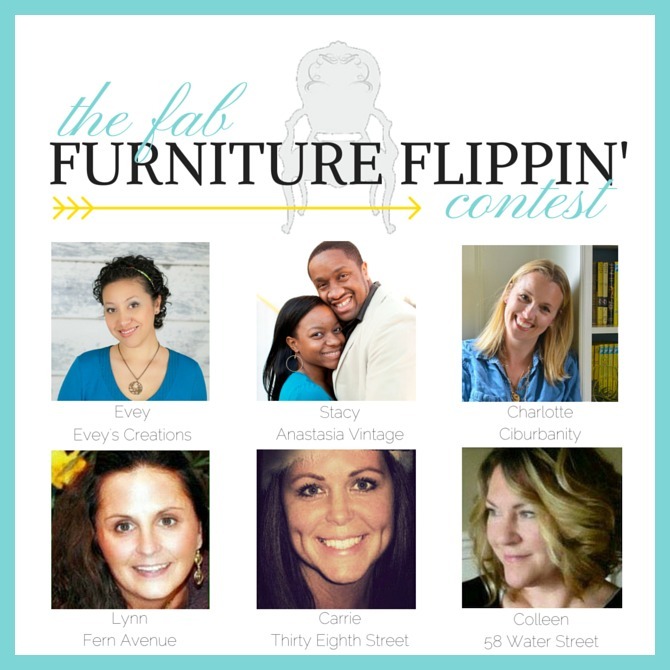 Welcome to the April Edition of The Fab Furniture Flippin’ Contest! 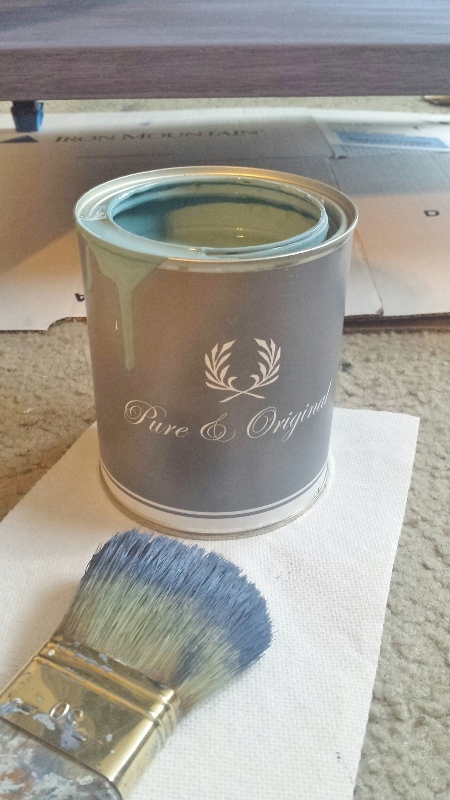 This month, our phenomenal sponsor is none other than Pure & Original, makers of some of the most fabulous paint to hit the DIY industry in recent years. It’s a luxury brand, imported from the Netherlands and crafted to be environmentally-friendly with little to no VOC. 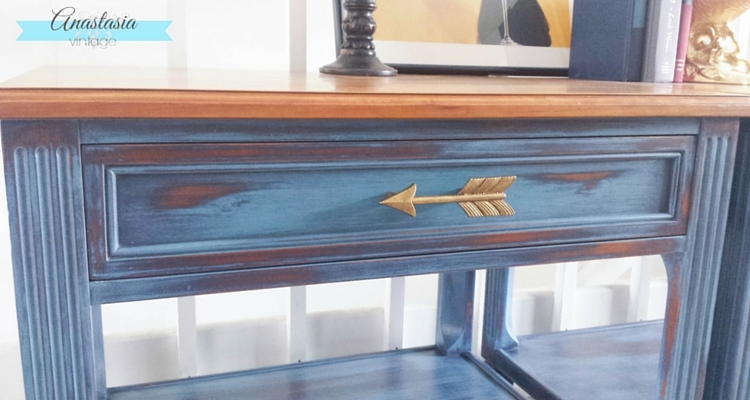 I have to tell you, I absolutely LOVED working with this paint. 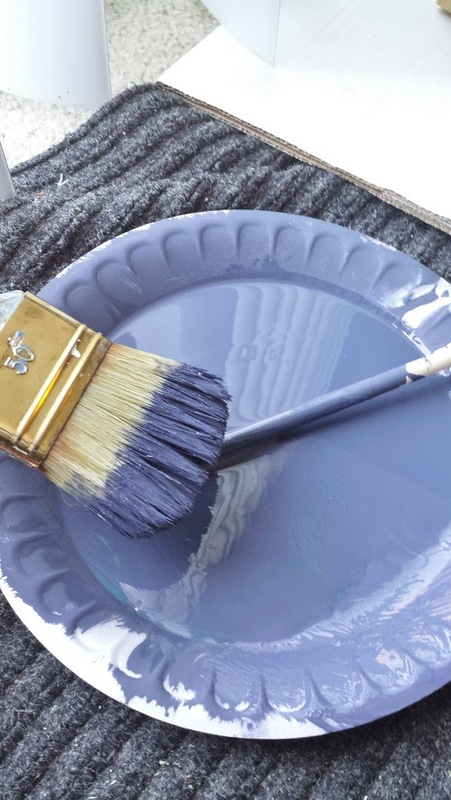 It’s so incredibly smooth, the colors are rich, and it sands to a beautifully soft finish. 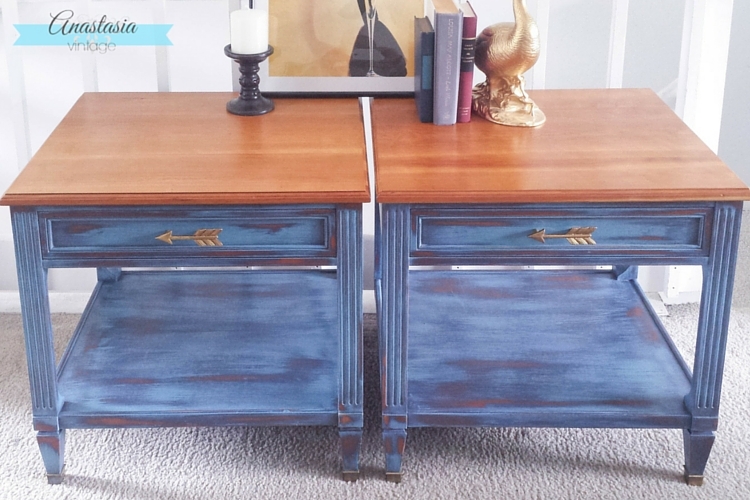 I decided to make over this lovely pair of end tables. 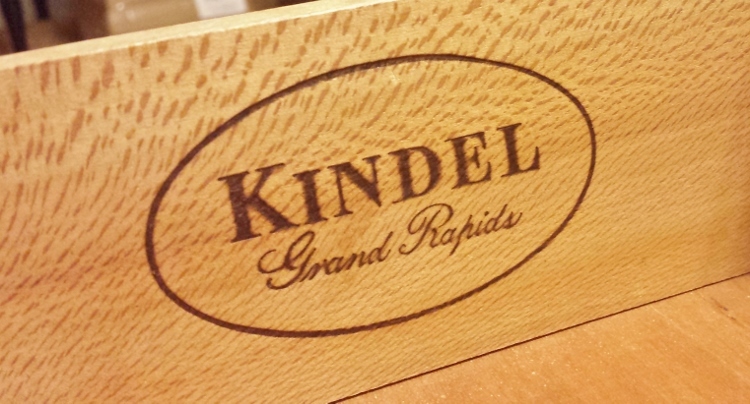 They are solid fruitwood, made by a company called Kindel. A stamp on the bottom dates them back to 1956. 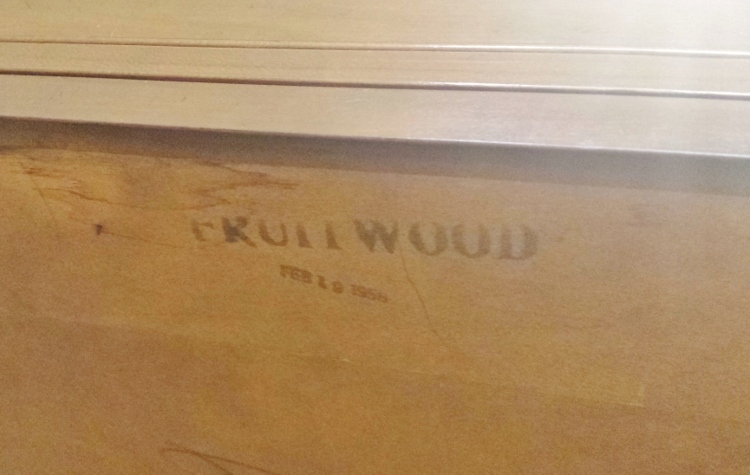 I knew they were great quality the moment I spotted them at Goodwill, but they had some cosmetic issues, including what appeared to be a handprint in the varnish. Weird. 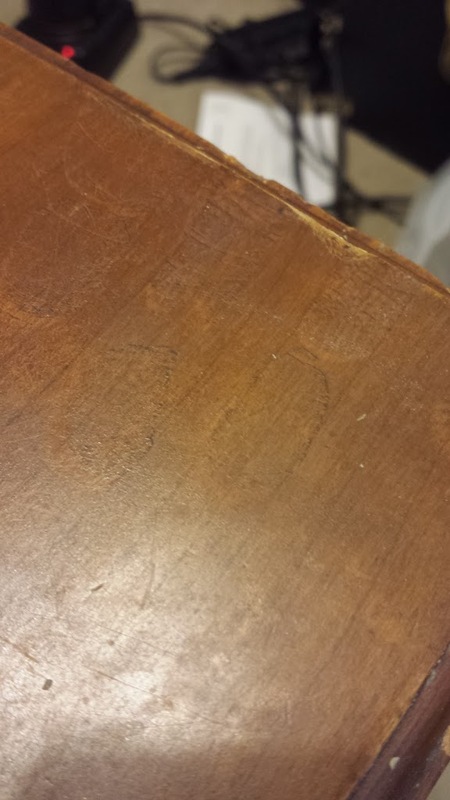 First, I stripped the top to remove the old varnish (and the handprint). 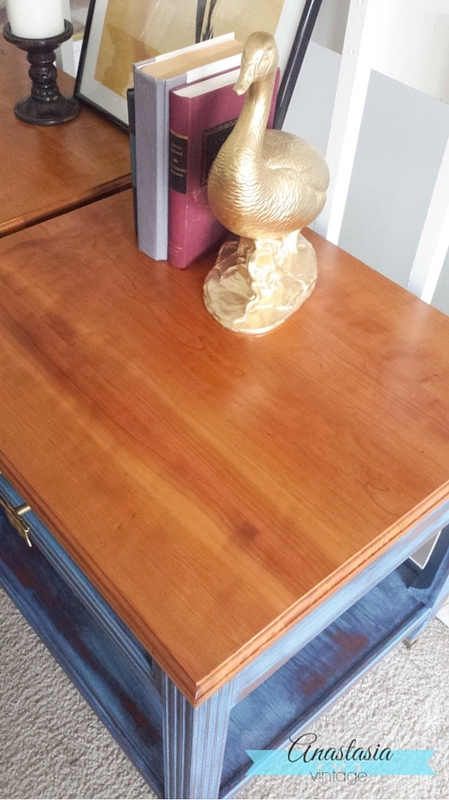 Then, I gave the base a coat of P&O Classico Paint in Majestic Cloth. This paint is like butter, I tell ya. After that, I brushed on some Greek Blue and Libo Bay here and there, trying to keep it random and rustic-looking. 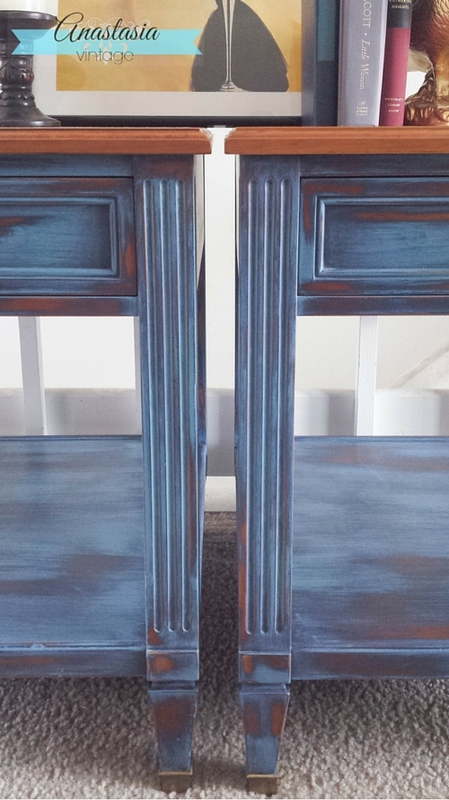 After some distressing, topcoat, and new pulls, they were all ready to go! I am so excited to have had the chance to try this awesome paint! 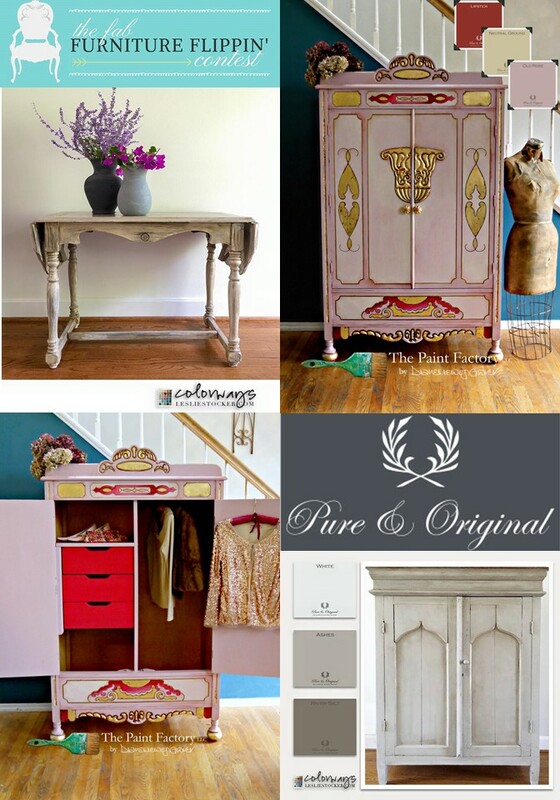 Some of the finest painters in the biz, including Leslie Stocker of Colorways and Diane Grover of The Paint Factory, are huge fans of Pure & Original and have created some gorgeous pieces with it. They’ll also be serving as guest judges for the FFFC this month! Pure & Original manufactures three paint lines – Classico, Fresco Lime and Marrakech Walls. 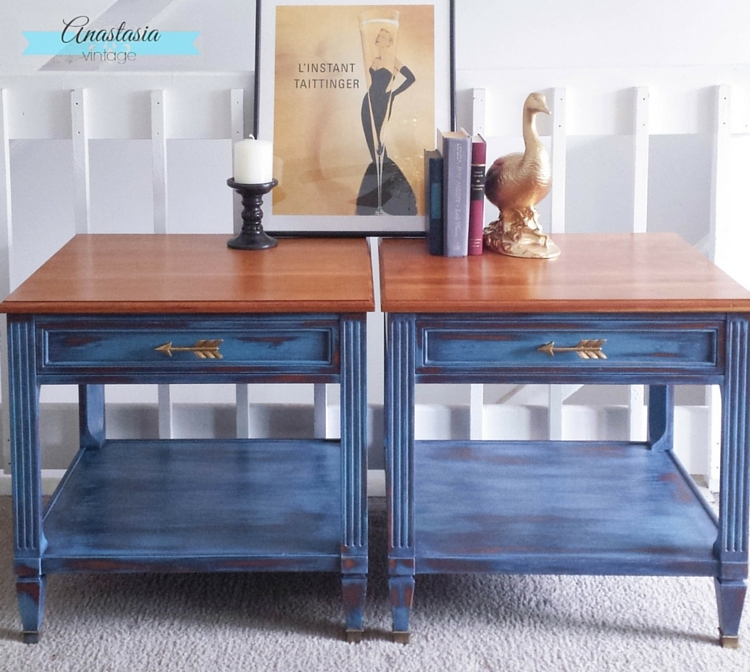 Our paticipants and hosts will be working iwth Classico, a thick, chalk-based paint with natural pigments. Oh and did I mention it’s available in over 130 colors?? Be sure to come back throughout the month to see more the 60 amazing projects from our participants and hosts, including our featured host, Carrie and our social media manager, Thea! I can’t wait to see what everyone comes up with!